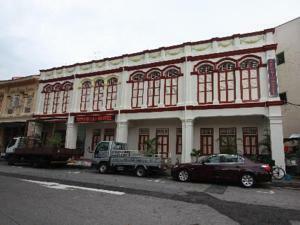 Zenobia Hotel offers affordable rooms in the cultural heartland of Singapore’s Little India. Fully air conditioned, the hotel provides a 24-hour front desk and free 24-hour Wi-Fi in its public areas. Hotel Zenobia is a short 10-minute walk from Sim Lim Square and the 24-hour Mustafa Shopping Center. Changi International Airport is a 20-minute drive from the hotel. Simply decorated, rooms at Zenobia are fully air conditioned. Each comes with a TV, hot water showers and a hairdryer. The hotel provides laundry and ironing services for the convenience of guests. A daily free breakfast is served at the hotel’s dining room. Public parking is possible on site (reservation is not needed) and charges may apply. All children or adults are charged SGD 15 per person per night when using existing beds. There is extra beds/baby beds in a room is 0 capacity for extra beds/cots in the room. Supplements are not calculated automatically in the total costs and will have to be paid for separately when checking out.